THE PHILLIES SIGNING OF BRYCE HARPER BROUGHT CHEERS TO PHILADELPHIA, AND ANGST TO NATIONALS NATION. BUT THE MOVE ISN’T LIKELY TO CHANG.This STANDING AMONG COLLECTORS. 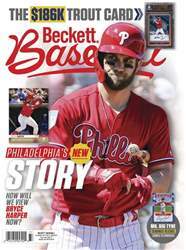 In our little corner of the collectibles universe, the first question most asked upon hearing that Bryce Harper had signed a 13-year, $330 million free-agent deal with the Philadelphia Phillies was: What does that mean for us? 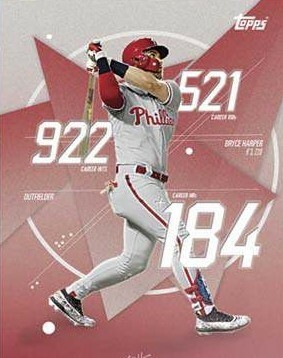 How will the change from Nationals red, white and blue to Phillies red pinstripes aff ect how we view Harper? In two words: It won’t.